Cannabis Sativa is one of the more popular strains among growers and smokers alike, despite its longer flowering time. People search for these sativa strains the most through an online weed dispensary and users love the sativa because of the intense cerebral high that you can achieve with it, and not to mention the potential medicinal value. What makes the sativa so inviting? An online weed dispensary usually has a large selection of sativa strains to fit the demand as the sativa is the bud of choice amongst many smokers. This popularity has a lot to do with the experience that the cannabis sativa strains invites you to have. Sativa strains are the antidote to the stoner smoker stereotype as it often leaves you feeling inspired and focused, yet still deliciously dreamy at the same time. Cannabis cultivators love the sativa as well because even though the actual growing part is more challenging, the yield is rewarding. This strain is characterized by the pungent diesel aroma that it emits. A strongly sweet smell, the taste is also gentle and sweet on the pallet. Sour Diesel is a Californian native, first traced back to the Emerald Triangle. 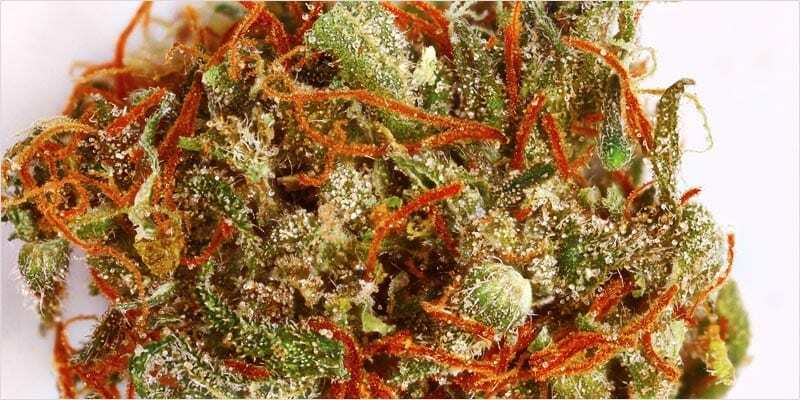 The strain surely takes after its namesake, with the aroma being distinctively diesel-ly. The sour, a favorite amongst many cannabis connoisseurs, is reminiscent of a lucid dream with laser-sharp awareness and a cerebral stimulation. Many writers find that the creative juices can flow and work through a block. How can it medicate me? Patients use Sour Diesel to manage pain, release stress and ease tension. This uplifting sativa strain is also used to lift depression and can be used as a social lubricant as well. This giggly experience is highly sought after by cerebral cannabis adventurers amongst friends and when smoking in a group. The Laughing Buddha is a euphoric sativa and is a fun sativa strain to enjoy. The Laughing Buddha is a sweet creation between Jamaican and Thai strains. The earthiness and fruity notes create an aroma that is sweet and spicy, a true Thai and Jamaican fusion. The smoke emitted is rich and pungent, so be sure to leave a window open. In short; simply marvelous. The Laughing Buddha is an enjoyable cerebral high and is a great choice for parties or events. This strain is a hybrid and you will still be able to keep your feet on the ground while your head is up giggling in the clouds. The Laughing Buddha is a strong depression fighter. If you are feeling down, or are prone to social anxiety this is the strain to unburden your mind of negativity and settle into an uplifting and peaceful state. Another popular and favorite amongst marijuana users, this is one of the most popular strains when people are searching to buy marijuana online. In the streets of Amsterdam, you will find a hug of the Amnesia Haze at almost all the coffee shops. Hailing from Jamaica and South Asia, the Amnesia Haze is born of landrace genes. That could explain the strong genetics this plant carries as well as the fact it has also been placed first in the Cannabis Cup of 2004 and first in the Sativa Cup of 2012. The strain comes with a buzzing citrus aroma that tells of lemon and other citrus fruit. The Amnesia Haze is known as an uplifting and energetic high, putting a smile on your face as you go about your day with a zest for life. It is loved by many because of its sativa strength that creates a mellow yet energetic experience that lasts longer than the average high. The most important use of this strain has been amongst people that suffer from social anxiety. The high is characterized by giving the person a happy and energetic yet calm sensation and is perfect for social situations. This strain can also be used to ease depression and can be happily used during the daytime. i like Sour Diesel most. Great!! Laughing Buddha is my favorite strain!!!!! !